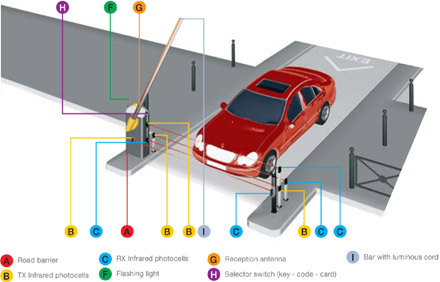 Boom gates are today one of the most sort after types of automation for controlling vehicle traffic in parking lots, private entrances and many other situations. Boom widths from 4 metres up to 12 metres. Flashing light to notify of boom operation. Articulated arm for height sensitive locations. Boom Gate control box manufactured from Stainless Steel. Gate Automation Systems takes pride in training its staff to assist you in the decision making and advising of the correct boom gate or chain barrier requirements & design parameters for your site along with the safety devices required for your specific application, along with the professional installation of the systems purchased.